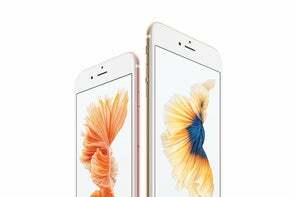 The iPhone 6s sports internal improvements and interface enhancements that set a new benchmark for smartphone excellence. Let’s start with the part of the iPhone that doesn’t change on “s” models: The outside. While Apple’s new 2015 phones seem indistinguishable from last year’s models, if you check carefully you’ll discover they’re slightly larger and heavier. The change in weight, on the other hand—which appears to be related to the addition of 3D Touch sensors under the display, and possibly the new Taptic Engine—well, that’s noticeable. The iPhone 6s and iPhone 6s Plus both feel denser than the iPhone 6 models. The difference is less than an ounce, and it’s less than the weight of my Apple leather case, but it’s there. Just like getting used to the extra weight of a case, after a day or two you probably won’t notice the difference. 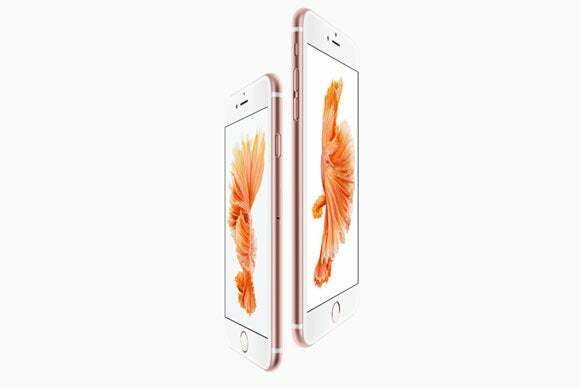 But it is perceptible in a way that the changes in the iPhone 6s’s dimensions aren’t. iPhone 6s (top) and the iPhone 6s Plus (bottom). One of my least favorite things about the iPhone 6 design is that it feels a bit slippery, like a bar of soap. I never used to put cases on my iPhones, but my iPhone 6 has been in a case for the past year. Early reports suggested that the metal surface of iPhone 6s models, which use the stronger 7000-series aluminum Apple also uses in the Apple Watch Sport, was somehow more tacky or “grippable” than the older phones. When I asked Apple about this, they declined to say anything, and if I’m reading between the lines I think the suggestion there is that Apple doesn’t think there’s any difference. Yet, I’ve seen people online who are convinced that their iPhone 6s units are less slick than their old phones. I’ve handled a bunch of iPhone 6s models now, and one of them—a 6s in the new Rose Gold color variant, which is pleasantly pink—did indeed feel noticeably tackier to the touch. But I’ve got a silver 6s Plus and a space gray 6s here that feel exactly as slick as last year’s models. It’s not the colors themselves—I heard from someone who is convinced their space gray 6s isn’t as slippery. What’s happening here? Part of it could be a placebo effect, but my guess is that some change in Apple’s production process-either the manufacture of the aluminum itself or, more likely, the anodization process that each aluminum backplate undergoes—has introduced some variation in the texture of the iPhone’s surface. 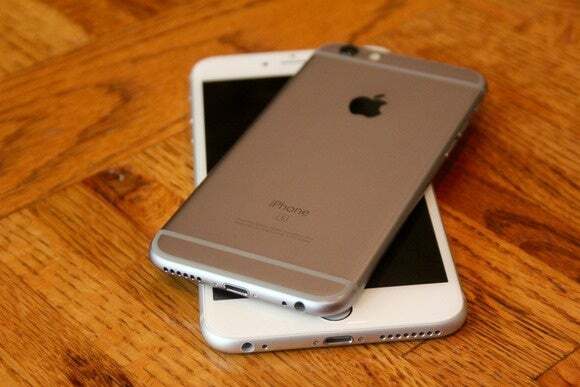 So if you buy an iPhone 6s, might it be a little bit easier to grip than the iPhone 6? It’s possible, but I sure wouldn’t count on it. The banner feature of the iPhone 6s and iPhone 6s Plus has got to be 3D Touch, which allows the iPhone to sense how much pressure you’re putting on its screen, and react to that in some interesting ways. If you’re on the home screen and push a little extra harder on an app icon, you’ll usually (apps have to be updated to support this feature) see a menu of up to four Quick Actions. As the menu pops up, you’ll also feel a slight vibration coming from the phone’s Taptic Engine, which can create much more subtle vibration patterns than previous iPhones. In fact, if you push on an app that doesn’t offer Quick Actions, you’ll feel a longer triple-vibration pattern that indicates that there’s nothing to see. Apple has done a great job integrating haptic feedback into 3D Touch, and the combination of your own sense of pressure on your fingertips and the vibration of the Taptic Engine is greater than the sum of its parts. Because the vibrations provide instant feedback about how hard to push in order to trigger 3D Touch, I never really had a problem triggering the feature accidentally. Perform a 3D Touch on an app icon and a pop-up menu appears with tasks you can perform. When you are using an app, developers can choose how to use 3D Touch, if at all. Apple has provided the tools for developers to support a convention that it’s using in most of its own apps, which it calls “peek and pop.” When you provide a little bit of pressure on an on-screen item that’s concealing more information—this could be an icon representing a friend, a message in a Mail or Messages list, or a webpage link—the Taptic Engine provides a small vibration as a floating window pops up with a preview of the underlying information. If the item doesn’t interest you, you can remove your finger from the glass and the window goes away. If you want to know more, you can press a little bit harder and you’ll get a stronger vibration as the window “pops” open, just as if you had tapped on it to begin with. It’s a nice feature, a little bit like Quick Look on the Mac. What makes it a bit more intriguing is that you can perform actions right from within the “peek” itself. For example, in Mail I can drag a “peek” to the right to mark a message as unread, or drag it left to archive it. If I drag the “peek” up, I get a menu that lets me choose to reply, forward, move, mark, or set a notification on that message. In Messages, dragging up on a “peek” brings up a list of auto-reply messages, so I can quickly answer a text. 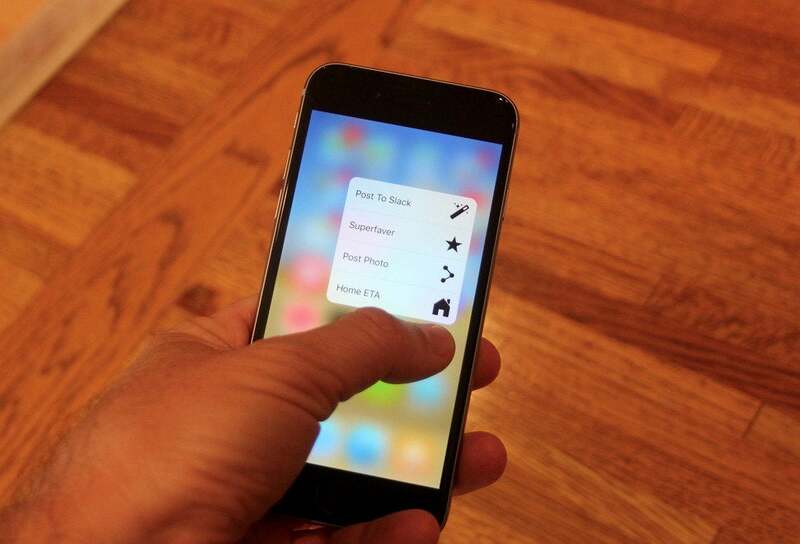 App developers can decide if they want to implement “peek and pop” or build their own ways of reacting to 3D Touch. In Apple’s own Notes app, for example, when you’re in drawing mode the app detects the pressure of your finger on the screen and uses it to determine the intensity of the pencil marks. And game developers will undoubtedly find numerous ways to use pressure sensitivity to their advantage. I’m a believer in 3D Touch—it provides a fantastic collection of power-user features, but feels natural enough that I think it’ll be adopted by more than just the nerdiest among us. My only real complaint is that some of the gestures while in “peek” mode are hard to do with my usual hand grip. A few times I found myself wanting to swipe on an email to archive it, only to realize my finger just couldn’t move any farther in that direction. And while I could use the nifty new 3D Touch shortcut to switch to the previous app by 3D Touching the left edge of the screen and swiping all the way to the right, on the iPhone 6s Plus my little thumb couldn’t complete the gesture because it couldn’t reach the other side of the screen. Maybe this is a sign to stick with the iPhone 6s and not move to the larger iPhone 6s Plus. One final complaint, of a sort, about 3D Touch: After a few days of using it, I want it everywhere—and it’s not. I can flip up Control Center from the bottom of the screen to quickly open the Camera app, but for some reason I can’t 3D Touch on that Camera icon to bring up its Quick Actions. Why not? Similarly, the new iOS 9 search screen displays suggested app icons, but I can’t use 3D Touch on them, either. The iSight camera has been upgraded to 12 megapixels, which allows the camera to capture more detail. The iPhone 6s Plus also offers optical image stabilization for both video and stills—an improvement on the iPhone 6 Plus, which only used OIS for stills. In addition to upgrading the hardware, though, Apple has also introduced a new camera mode, called Live Photos. When you enable Live Photos (by tapping a new Live Photos icon when in the Photo setting of the Camera app), the iPhone is always shooting video and caching it temporarily. When you take a picture, the app grabs the last 1.5 seconds of video and the following 1.5 seconds, and saves that as a movie, alongside the still picture. The idea here is that you’ve sort of captured the closest thing to one of those moving photographs from Harry Potter. It’s a fun idea, and once apps are updated to support the uploads, I expect that they’ll be a lot of fun to share. But I admit I’m a little disappointed about how Live Photos are implemented: When you 3D Touch on a Live Photo, the beautiful 12-megapixel still fades away and is replaced by a 1440-by-1080-pixel (1.55 megapixels) video running at only 15 frames per second. I guess even the impressive hardware on the iPhone 6s and iPhone 6s Plus isn’t capable of capturing a higher resolution at a higher frame rate, but it’s a disappointing drop in quality from that beautiful still image. As a bonus easter egg around a still picture, Live Photos can be fun and silly, but if I’m ever in a situation where I want to capture movement, I’m going to shoot video instead. Speaking of shooting video, these iPhones have received a major upgrade. They can shoot 4K video (3840-by-2160, or four times the pixels of a 1080 HD video). Right now there aren’t a lot of 4K TVs out there, but inevitably there will be someday. 4K video also gives you much more to work with in terms of zooming and cropping video when you edit later, because you can throw away a large chunk of an image and still have full 1080 HD resolution to work with. I imagine that all of those filmmakers who love shooting stuff with iPhones will snap up these new iPhones immediately, just because of the 4K video support. As the parent of a teenager, I have come to appreciate that the FaceTime camera on the front of the iPhone is just as important as the one on the back. (Because selfies.) Apple has also gotten the message—the front-facing camera on the iPhone 6s and iPhone 6s plus is now 5 megapixels, up from 1.2 megapixels, and supports Live Photos and HDR mode. More importantly, Apple has built in a selfie-flash mode that uses the iPhone’s display itself as a flash, driving it to up to three times normal brightness and adjusting the color of the flash to one that’s appropriate for the scene. I’m impressed with all of these upgrades, especially on the front-facing camera. For much, much more on the iPhone 6s camera, I encourage you to read the in-depth iPhone 6s camera review by Christopher Phin. With a new iPhone comes a new Apple-designed processor, of course. This time it’s the A9, which for the first time integrates the motion coprocessor—this version’s called the M9—into the same physical chip. The M9 offloads tasks and runs with very, very little power use—handy for things like counting how many steps you take while your phone’s sleeping in your pocket. By integrating it with the larger whole, the iPhone 6s and iPhone 6s Plus can also listen for a “Hey Siri” prompt at all times, not just when they’re plugged in to power as with older models. The A9 processor itself is faster than the A8 found in the iPhone 6 and 6 Plus—and by a whole lot more than you might expect. Using Primate Labs’s GeekBench 3 testing app, the iPhone 6s models appear to be roughly 60 percent faster then iPhone 6 models at single-processor tests. On GeekBench’s multi-processor test, the 6s models are between 50 and 60 percent faster. Last year’s models were only slightly faster than the iPhone 5s of the previous year—this year’s update offers a much larger boost in speed.